If you're interested in keeping up with the latest Cinder development you'll want to setup a clone of Cinder's git repository. Cinder's home on GitHub is at https://github.com/cinder/Cinder. In general Cinder's active development is done in the master branch. The release_* branch (for example, release_v0.9.0) is designed to reflect minor updates to the latest official release. 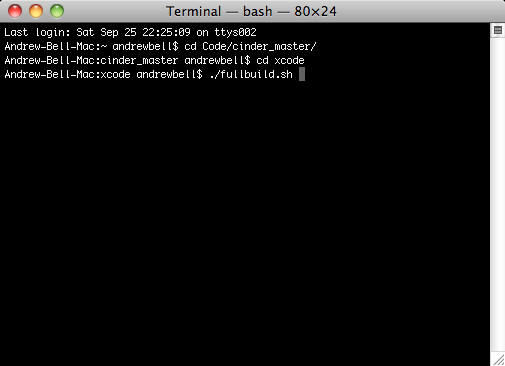 If you don't already have Git installed on your Mac, start by downloading the Git installer here. If you aren't familiar with git, the only command you need to remember is git pull which, when executed from your new cinder_master directory, will update your copy of Cinder. Doing forget to rebuild Cinder (described below) whenever you do this. 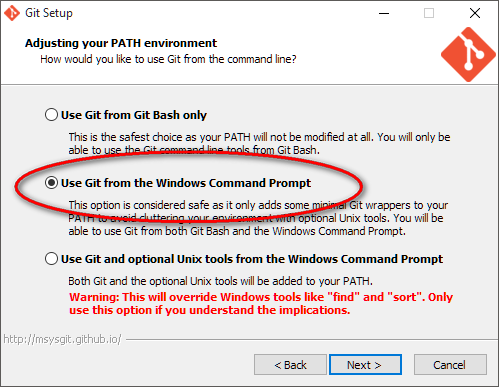 If you don't already have Git installed on your PC, start by downloading the Git installer here. To build Cinder on Windows, first make sure you've got the rest of your development environment setup as described in the Windows Setup document. Next, open up the Visual Studio solution in cinder\vc2013\cinder.sln. You'll build as you would any Visual C++ project, and don't forget to build both Debug and Release. After your build completes, the files cinder-v120.lib (for Release) and cinder-v120_d.lib (for Debug) will be created at the path cinder\lib. As a final step, if you'd like to have a local copy of the Cinder documentation, you can generate it using Doxygen. Follow this guide to learn more about generating documentaion.